Lawrence "Buddy" Eckman is the pastor at The Rock Church in Old Town. 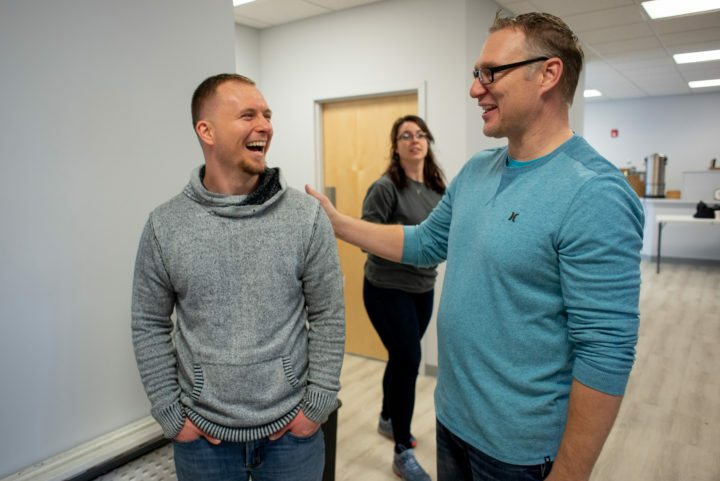 The Rock Church, one of Greater Bangor’s fastest growing congregations, is expanding on two fronts. It recently moved into a larger space in Old Town as it finalizes plans to erect a new building at its Bangor property on Ohio Street. 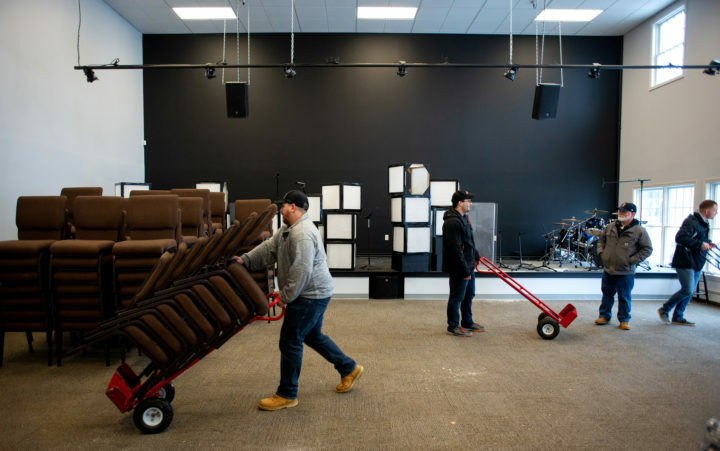 The Rock Church North has moved to downtown Old Town after its worshippers spent nearly four years attending services in an Orono movie theater. The Old Town location will allow the congregation more room for Sunday school classes, a nursery, an office and a cafe. The nondenominational church moved into three former retail spaces at 240 Main St. on Jan. 24 and held its first service there three days later. The congregation will hold a grand opening April 7, a week before Palm Sunday. Staff and members of The Rock Church spent Thursday moving into the new Old Town location. The Rock is turning a former retail space in Old Town into a church. The space is located at 240 Main St., in what was called the Outfitters Mall, when it opened in 2000. They have been holding services at Spotlight Cinema on Stillwater Avenue in Orono for several years. People also had trouble finding the church in Orono because it had no permanent signs at the Stillwater Avenue strip mall where Spotlight Cinemas is located. In the new space, the worship area will hold 140 people, and 40 children will be able to attend Sunday school. The church will use a large room on the second floor for youth programs. Staff and members of The Rock Church spend Thursday moving into the new location in Old Town. The church is turning a former retail space in Old Town into a church. Dorothy Mendoza, the children’s director in Old Town, was excited last month about having more space for Sunday school activities and a nursery. The church’s new space is in a 9,000-square-foot building completed in 2000 on the site of the former Lily-Tulip pie plate factory. The building was previously home to a map store, a wooden boat museum and Marsh Island Carry, the first retail outlet of Old Town Canoe parent company Johnson Worldwide Products. 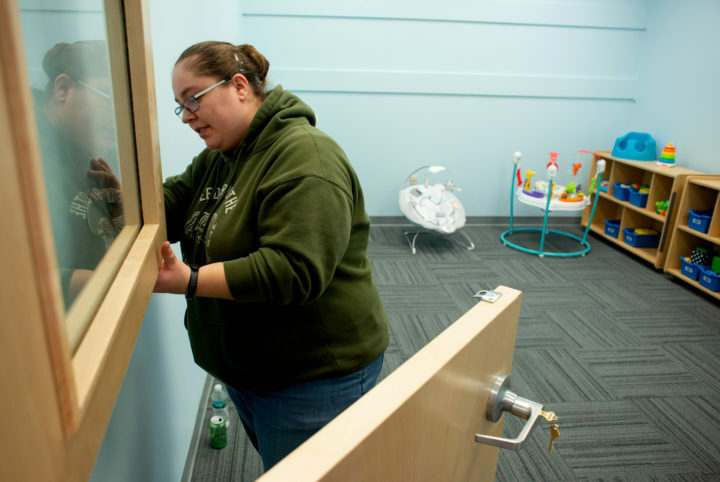 Jodie Oakes, children’s coordinator and administrative director, sets up the nursery in the new building in Old Town where The Rock Church is moving to from the Spotlight Cinema in Orono. The worship space is close to the street with ample parking out back. It’s also located next to a park where the children will be able to play in good weather. It’s not the first time The Rock Church has conducted services in a retail space. From 2009 to 2012, it rented space in the North Brewer Shopping Plaza due to its rapid growth in Bangor. But when it tried to expand there in early 2012, Brewer’s code enforcement department denied permission because the city’s zoning did not allow a church at that location. As a result, the church built its current 6,000-square-foot worship center in Bangor at a cost of $613,000. It opened in December 2012 and seats 320. 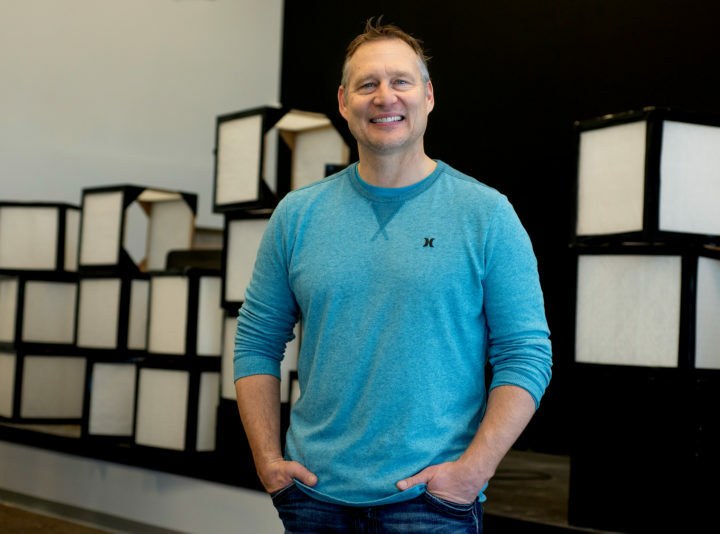 While The Rock Church’s north branch has helped ease overcrowding in Bangor, the Queen City location still draws about 1,000 worshippers to its four services each Sunday along with more than 100 children, according to Senior Pastor Kirk Winters, who is Eckman’s father-in-law. The Rock Church pastors Lawrence “Buddy” Eckman (left) and Kirk Winters, also Eckman’s father-in-law, share a laugh in the new building where The Rock Church in Old Town is moving to. Eckman is the pastor at the Old Town campus, and Winters is pastor in Bangor. That’s why the congregation will break ground March 31 on a $3 million, 13,000-square-foot worship center on the 10½-acre property that will seat about 520 people. That expansion originally was planned for 2016, but the church put construction off to expand its parking lot and save money for a down payment. In the meantime, the construction costs increased from $2.2 million to $3 million for a slightly smaller space. The Bangor campus’ current worship center will become classrooms for Sunday school and a worship space for teenagers, Winters said. The Rock Church is turning a former retail space at 240 Main St. in Old Town into a church. The grand opening will be April 7, 2019, with three services at 8, 9:30 and 11 a.m. 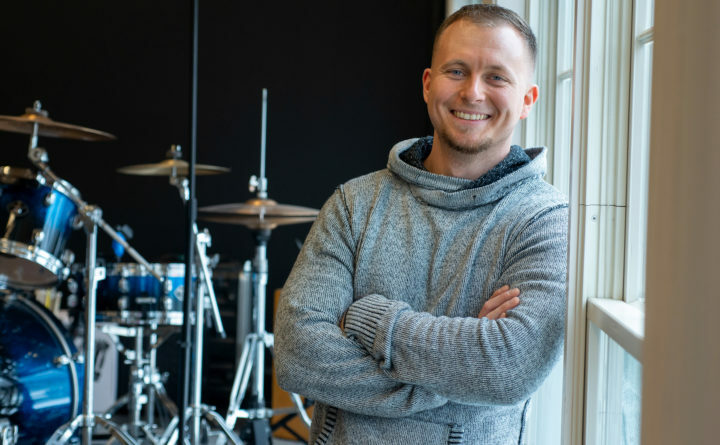 He started The Rock Church in Bangor at a time when the church he grew up in and another evangelical church in Bangor were experiencing difficulties. That, combined with the pastor’s roots in the area, his emphasis on modern church music, relaxed worship style and de-emphasis on liturgy helped the congregation grow faster than any other in more than 50 years. Kirk Winters is the pastor at The Rock Church in Bangor. Winters gives the credit to God but also acknowledges that the congregation fosters a welcoming atmosphere.